Exclusive in the UK to Vorrei this is an incredible Sicilian dessert that you most probably won't have tasted before! 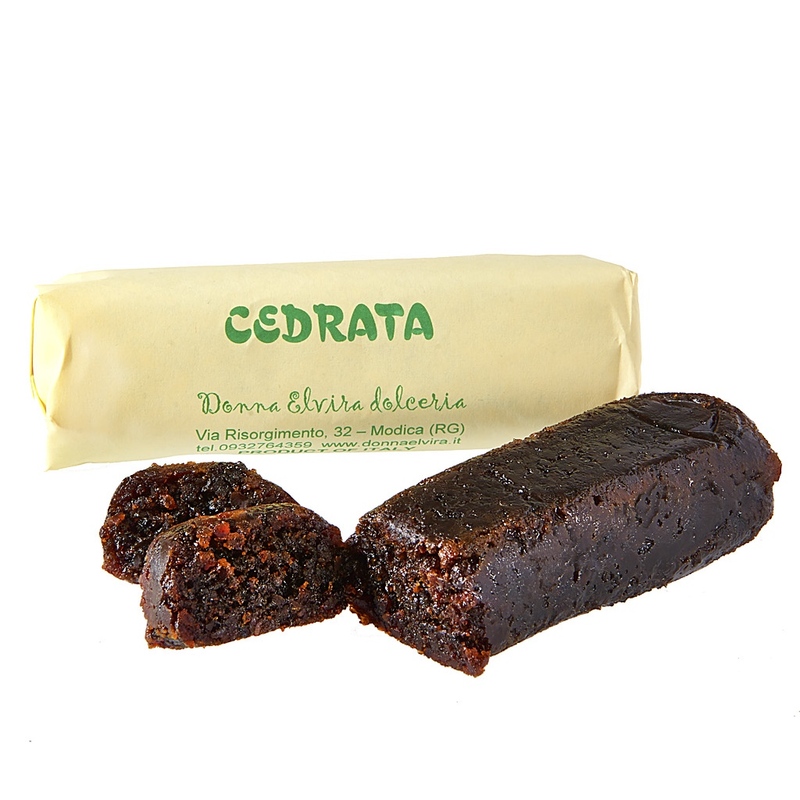 Hand made in Donna Elvira's family run 'laboratorio', the Cedrata is a deliciously moist, soft and sweet creation with an incredible citrus flavour, crafted from Sicilian cedro (citron) peel, honey and organic cane sugar. The honey used in this product is very special. Produced in only a very small area of Sicily (in the Hyblean mountains in the provinces of Siracusa and Ragusa), it has been considered one of the great honeys since ancient times. What characterises this honey is the combination of sensory qualities related to the rich and varied local flora - it has a distincltive colour and flavour. Ready to slice, the Cedrata roll can be eaten as a dessert or as an accompaniment to afternoon tea. It is made from completely natural ingredients and contains no additives, preservatives or colourants of any type. Citron peel, Hyblaen wild flower honey, organic cane sugar.